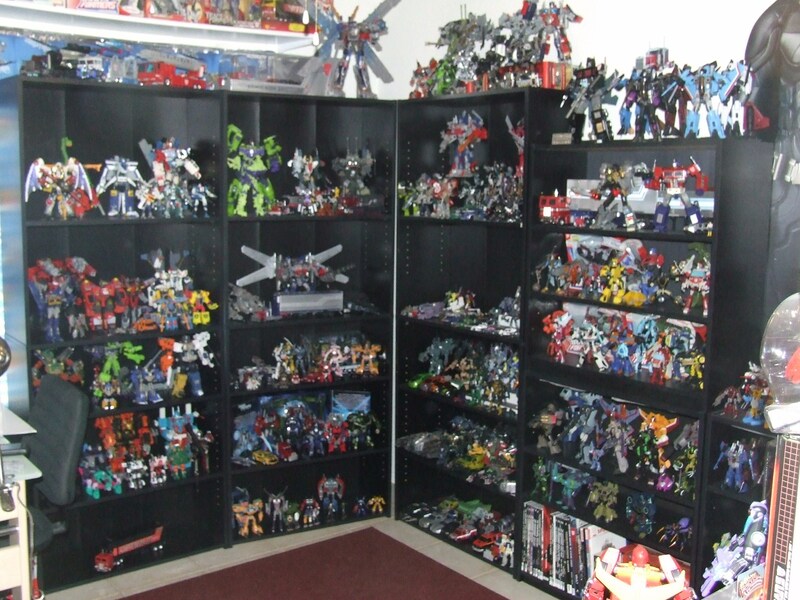 For as long as I could remember, I have found Transformers to be my ultimate hobby and a never ending passion. I love everything about the Transformers franchise from the various cartoons, comic books, and of course the thousands of transforming toys. I consider myself a G2 kid: I remember growing up with my G2 Inferno, Slag, and Hero Optimus Prime trying to recreate scenes and re-imagine characters from the original 1986 Transformers Movie I had on a recorded VHS. My passion really took off during the Beast Wars era where I grew to love the new look on Transformers with characters such as Optimus Primal and Cheetor leading the way. From my childhood up until now I never stopped collecting Transformers toys and continue to dive head first into the franchise with nearly everything it has to offer. With BotCon 2012 fast approaching, I’ve been rearranging my collection room and gazing through the collection I have amassed over the years. Of the nearly 700 figures I have, something is … missing. 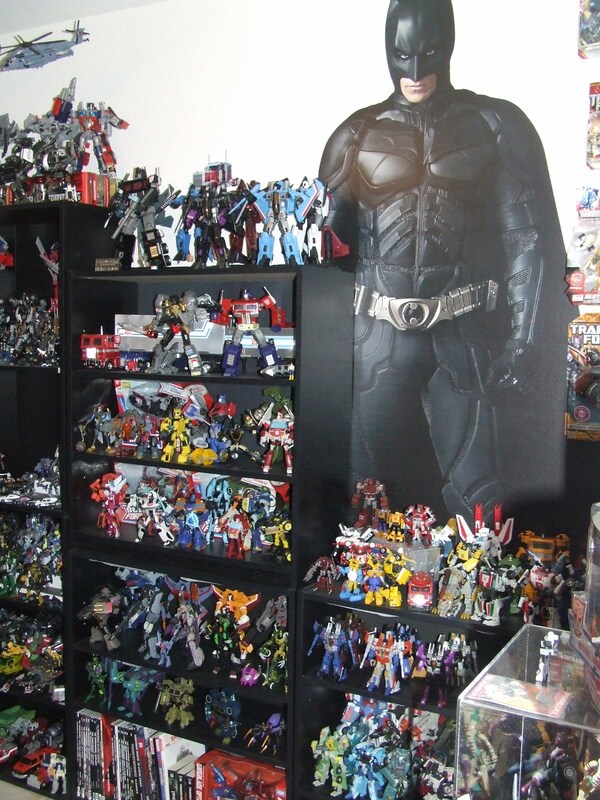 While taking a seat and again gazing through my collection room, it dawned on me: “Oh. There’s little to nothing here from G1.” G1 represents “Generation 1,” the original, the foundation, the reason for everything to follow … and I have little to represent the beginning of Transformers in my collection. I’ve always wanted to expand my collection by going back to its roots and collecting the original G1 figures from the very first series 1 releases to the near end. I want to learn more about the rich history of these figures. With so many new figures coming out constantly (thanks to Mr. Bay and the live action movies) it was hard to devote time to tracking down G1 figures because I am a fan of nearly everything that has come from the Transformers franchise. Now is the time though; it’s time to take a venture to collect the G1 collection. Who knows how long this will take, or worse, how much will it cost? But it is a journey that I want to challenge myself with. I will use this blog to post my feelings, reviews, photos, and fun nostalgic thoughts every time I receive a new G1 figure; I want this to feel like I’m collecting those figures that came out over 25 years ago. Being deeply invested in modern Transformers, I also want to see how these G1 figures stack up against several of their updated “Classics” counterparts. It will certainly be entertaining for me and hopefully it’ll be entertaining to you as well. I have little exposure to the original figures (I own a handful …), so there will be many posts where I am touching these figures for the very first time. I will try my hardest to purchase all original figures meaning only some reissues and absolutely no KOs. And if I ever happen to purchase a MISB figure, I’ll be sure post a video of me opening it just to feel what it was like to be a kid 25 years ago opening these toys. This is something I’ve wanted to do for years, more so now that I see the Transformers franchise exploding into popularity it’s never truly seen before. It’s time to go back to the roots, the foundation of this franchise; it’s time for The G1 journey.